Reserve as much time as you like in our private group area, and don't forget to bring the cake and presents! Call us at (760) 560-3424 for more details. Have Your Birthday at The Wall! Looking for a fun place to celebrate a birthday in San Diego? Look no further, The Wall has everything you need to make the most out of your special day! 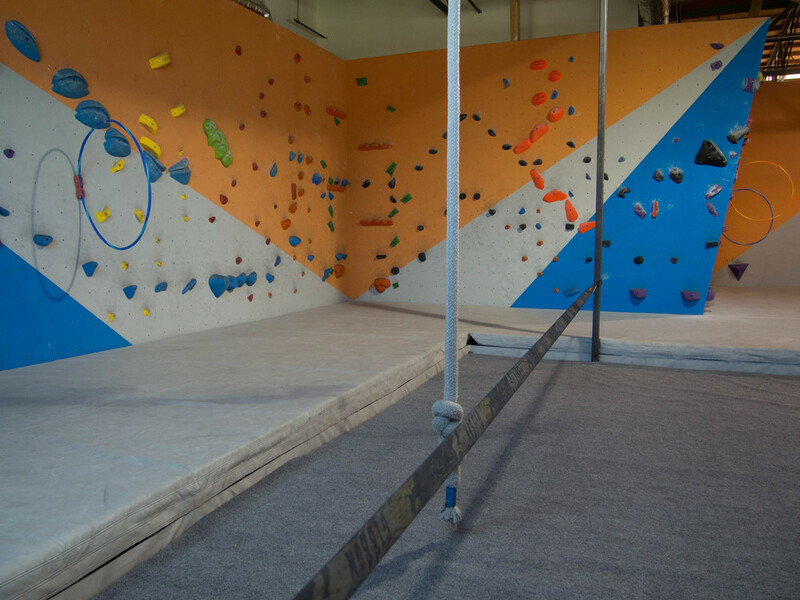 All birthday parties include 2 hours of reserved time in our upstairs event area, where you’ll enjoy access to a private climbing wall, slackline, and plenty of room to enjoy your cake and presents! See the gallery below for a better look at the space. Remember we’re an all Bouldering facility, so we don’t require a certain parent to child ratio. Our instructors can pop in to introduce a few games and activities, but ultimately the space is yours to play with! If you’ve got any additional questions about our birthday parties, please contact Andres.